Molding tells a house’s story in balanced and proportioned profiles. In old houses, moldings often carry a theme intended for the entire home, installed by craftsmen with a level of detail, care, and knowledge rare today. When I set up shop on an old house trim site, I’m mindful of the hands that came before me. I even try to envision them with their fold-out rules, hand-powered backsaws, and bib overalls, working at the same trade I practice today. Of course, I use power tools, and at the center of that universe—especially for trim work—is my 12" sliding compound miter saw. It’s an accurate yet versatile tool that has what it takes to help me finesse and power through the pages of the story I hope my work tells. 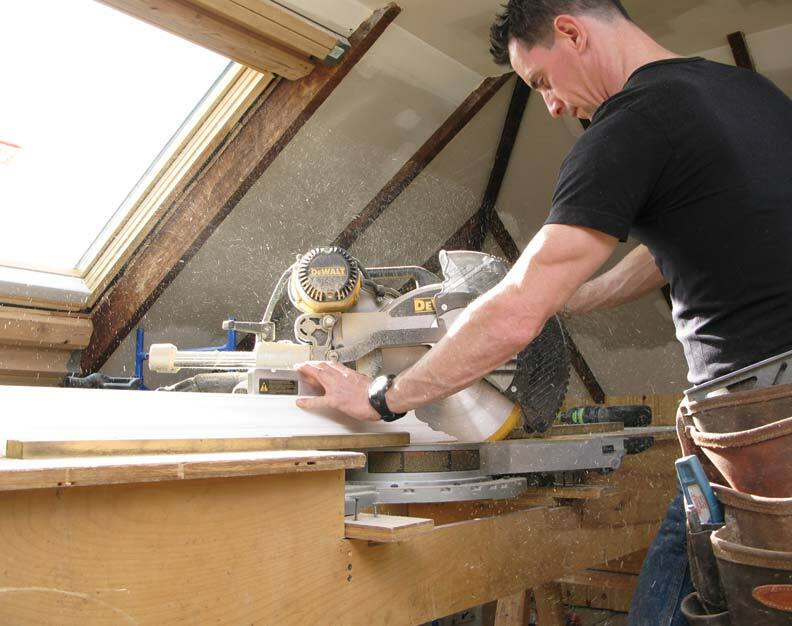 I’ve used nearly every kind of miter saw and can say—beyond the shadow of a doubt—the 12" slider (not an inexpensive investment by any stretch) is a versatile machine that negotiates all kinds of tough cuts. But not all sliders are created equal. Design details drastically influence how well a tool works—and how far into the future you can gain dividends on your investment—so I look for a tool with the best bag of tricks I can find. Trim is where 12" sliders shine. It’s here that the right saw increases accuracy— and production—without cutting quality. Fence. A tall fence and big vertical cut capacity are must-haves. If I can cut 5 1⁄2"-tall base (vertically) and 6 5⁄8" crowns (“nested” or as the crown hangs), I’m thrilled. This feature alone saves hours—even days, depending on project size—beveling the saw back and forth. Bevel and Detents. Ultimately you’ll bevel the saw to cut larger material “on the flat”(flat on the table), typically when mitering a 1"x 8" or better for skirt boards or base molding, or a crown exceeding 6 5⁄8". Most saws I’ve used have detents (preset, locking positions) that work, but it’s the rare tool that has crown stops on the bevel scale at 33.9 degrees, the angle needed for cutting crown flat. This is a great feature. Power. 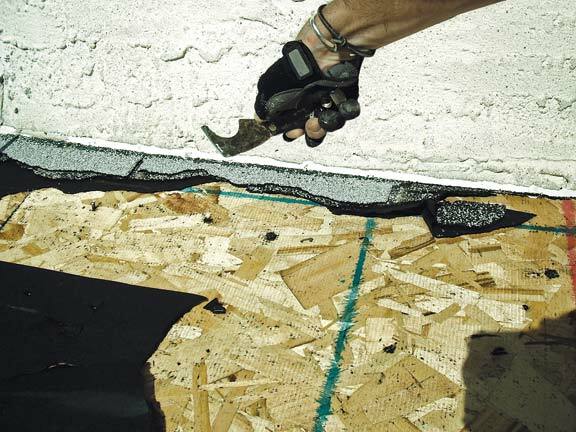 If there’s framing in your future—say, rebuilding a porch or adding wall-blocking for cabinets or bathroom grab bars—you’ll cut 2-by blocking. 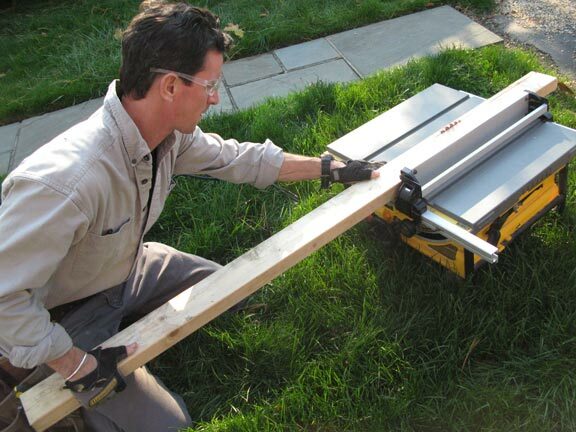 You can do it with a circular saw—but you can do it faster and easier with a slider. And I like saws with a belt-drive motor for good power. 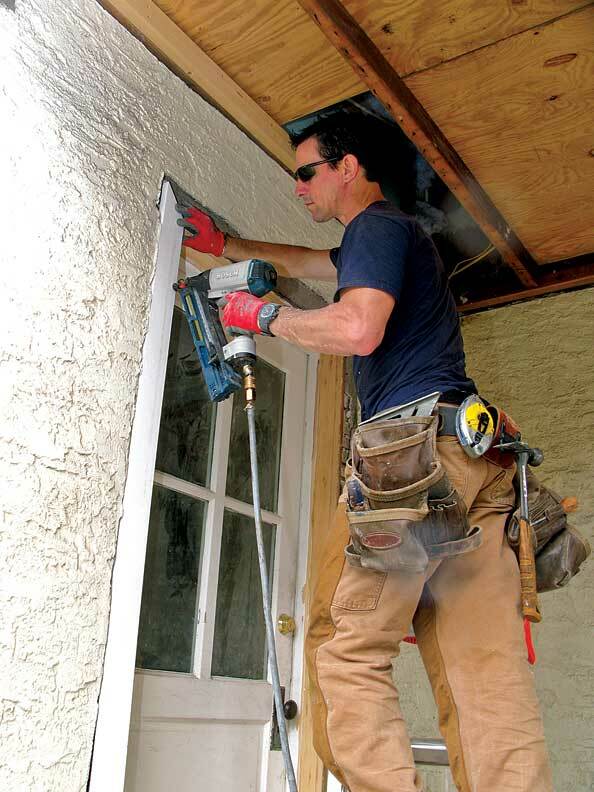 A detail-rich slider is a tool that can keep your pace or grow with you, enabling you to do the kind of careful, accurate, and powerful work restoring an old house requires.